Many of these human rights abuses include the element of discrimination against LGBT people. So, it is especially significant that the commission has been addressing this issue, including in its concluding observations and recommendations to African Charter member countries. Over the past few sessions, the commission has explicitly included sexual orientation and gender identity in its soft law instruments — that is, its general comments, resolutions and guidelines, building on its April 2014 resolution 275 on protection against violence and other human rights violations against persons on the basis of their real or imputed sexual orientation or gender identity. Even if these documents don’t have the force of law, they are influential throughout most of Africa in raising important issues and helping countries set their own agendas for human rights protections for LGBT people. 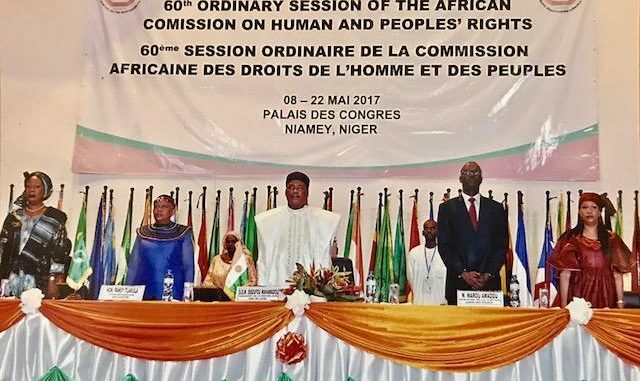 Africa-based nongovernmental organizations and human rights defenders involved with the commission’s work should be fully supported in speaking out, pointing to this body of soft law, and encouraging local and regional leaders to apply African human rights standards to sexual orientation and gender identity issues. And the commission should continue to interpret the African Charter in a manner that ensures the protection and promotion of human and peoples’ rights for all Africans. Wendy Isaack is a researcher in the LGBT rights program at Human Rights Watch. Prior to joining Human Rights Watch, Wendy worked as Adjunct Professor at the Human Rights and Gender Justice Clinic, City University of New York (CUNY) Wendy holds a master’s degree in Public Administration (MPA) from Harvard University’s Kennedy School of Government and a master’s degree in International Law from the University of Ulster in Northern Ireland.